I am at my goal weight and BMI, I got there 8 months after I had my surgery. It all started with meeting Dr. Chebli. He doesn't pull any punches, but you couldn't ask for anyone better in your corner. He gave me back my life and I will never be able to thank him enough. His staff is knowledgeable and extremely helpful -from answering your questions to dealing with your insurance. They also offer a support group for help you before, during and after surgery. You can't go wrong with Dr. Chebli. This was my first surgery ever. I was nervous about going into the hospital and making this life change but Dr. Chebli made everything go smoothly. He's a straight to the point here are the fact doctor that doesn't sugar coat or try to pressure you. I appreciate and respect that in a doctor and person. He's the best. I have had a great outcome with my surgery and office visits with Dr. Chebli he has always made me feel good about what i am doing and if i have a question he answers it right away making sure i understand very nice and understanding would have him do any other surgey. I saw Dr. Chebli over 12 years ago when he was in Fairfax, Virginia. I am surprised to see that he had only been doing this surgery for about 5 or 6 years at that time. The amount of care and concern I received from Dr. Chebli was more than I ever would have expected. He was professional and very thorough in explaining the procedure and the results. I have been able to keep off at least 60 of the pounds I lost from my original weight, which was the expectation. I would recommend him highly. Click Here to view Dr. Chebli’s patient testimonials from vitals.com website. Doctor Chebli is such a down to earth doctor who is very concerned about his patients and does all kinds of test to be certain you are ready for surgery. His staff, Lesie and Elease are awesome, all very caring. Gina who runs the pre-op and support groups in Venice is super caring and knows what we are going through. These are all people Dr. Chebli works with. He is a very intelligent doctor and this is all he does for a living and truly is dedicated to helping overweight people. I had my initial visit with Dr. Chebli this past Friday and I can honestly say I was left with nothing but positive thoughts. He was extremely friendly, he took his time to answer ALL of my questions. Not only was he amazing the star was extremely friendly. I can't wait for my upcoming surgery! I started my journey in May 2014 with Dr. Chebli. I felt comfortable with him from the start, he is funny and just a great guy. Not to mention good looking :-) I had gastric bypass 8/18/2014 and I am doing good. He did was he was suppose to and came to visit and chat everyday in the hospital. Would recommend him for everyone, he is a great doctor! My experience with Dr. Chebli has been absolutely wonderful. After researching many surgeons I found him and am so pleased that I did. He is brilliant, thorough, caring, and clear patient advocate. I cannot say enough good things about him. Dr. Chebli is great. I felt very comfortable at our first meeting. I had done a little research on him before my initial appointment. We talked about an hour and he provided me with a notebook with information on the different surgeries, what I will need to do prior and after surgery and his website gives more information. 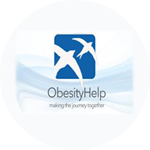 Click Here to view Dr. Chebli’s patient testimonials from ObessityHelp.com website. If you're interested in submitting a testimonial for Joseph E Chebli MD, Please use the form below to do so.